An oversight from Nova Scotia's past is about to be fixed thanks to the work of an 11-year-old girl. An oversight from Nova Scotia's past is about to be fixed thanks to the work of an 11–year–old girl. Regan Parker was working on a heritage project for her class when she discovered that the coat of arms that represents Nova Scotia has never officially been recognized as the provincial flag. The student from the Fanning Education Centre in Canso flagged the anomaly to her local MLA, Jim Boudreau. He enlisted the help of researchers at the Legislative library. "We checked with the executive council, leg library, Communications Nova Scotia, and so on, and in fact, it had never been recognized as the official flag," Boudreau said. 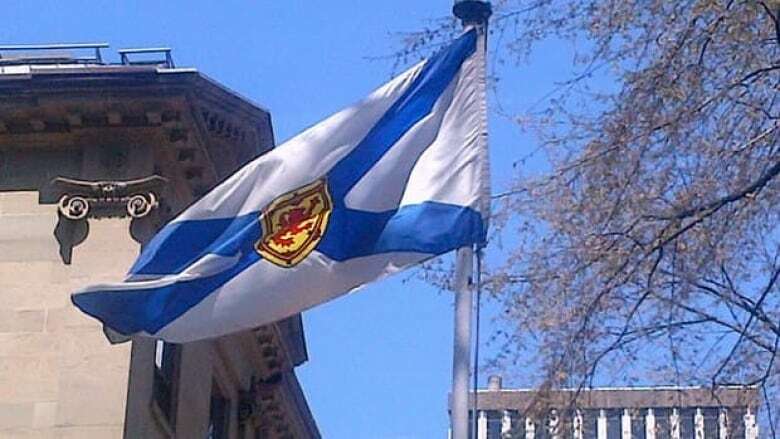 Boudreau introduced a bill on Tuesday to confirm the 155–year–old white and blue flag as the official flag of Nova Scotia. He said he's impressed that a school project has found its way to the floor of the house. "I’ve always tried to encourage students to do independent research, to look at things and to, you know, not just take things at face value so this was, this was very nice to see happen." The bill is expected to receive third and final reading on Thursday. The flag of Nova Scotia was created in 1858.